Learn about how to find and apply for experiential learning opportunities that enrich the education for Biology, Chemistry, and PCSE majors! 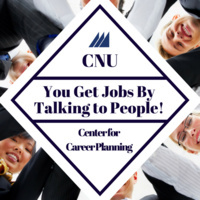 Every CNU student should participate in at least 1 internship during their undergraduate education. Where will you intern?